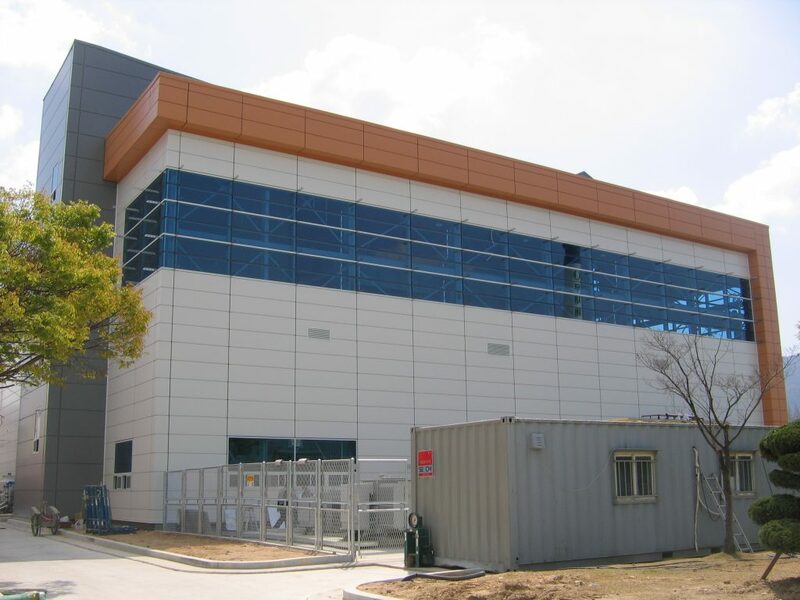 In this time, we want to show you our urethane metal secret fix wall sandwich panel provided to our client in Chang-won, Korea. 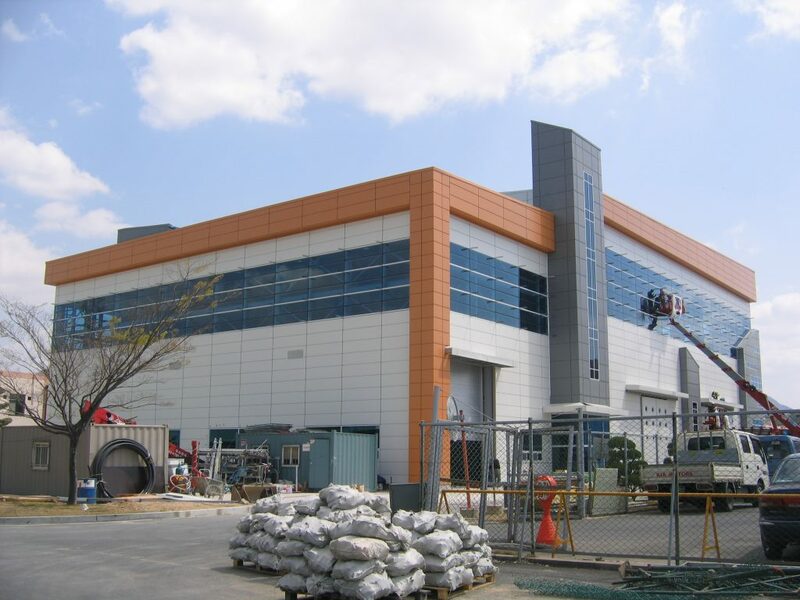 Their building looks more broadly due to its’ white color and they also emphasize some points by using dark gray color. 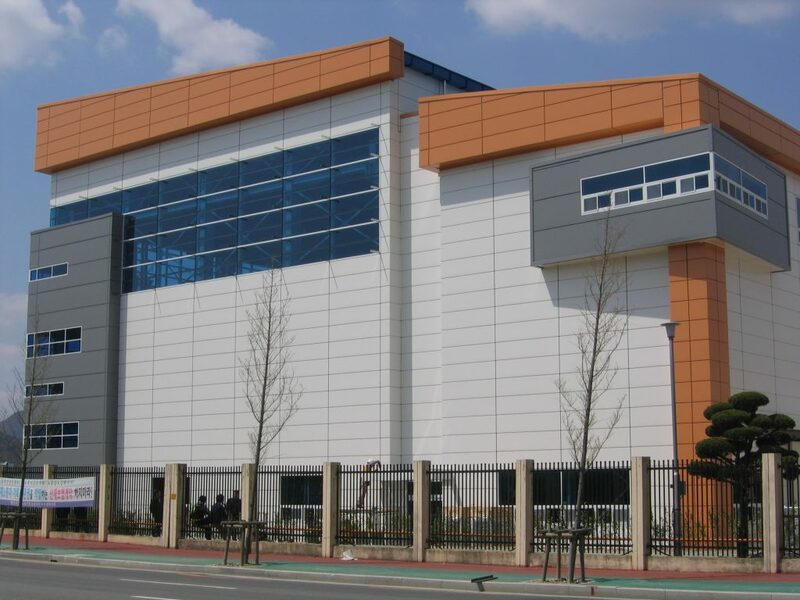 Also, they used orange color metal sandwich panel to avoid monotonous shape of building and made modern & sophisticated building well.